During my visit to China I made sure to spend a morning with the panda bears in Chengdu, at the Panda Breeding and Research Base. 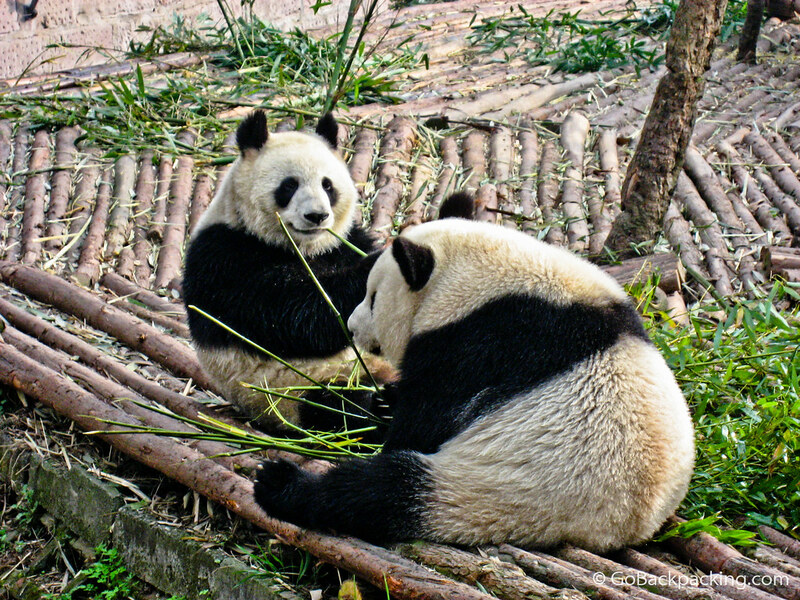 I don't care who you are, when you walk up to all the panda bears eating, playing, and scratching themselves without a care in the world, you'll be “ooooh'ing” and “aaaah'ing” with the rest of us. 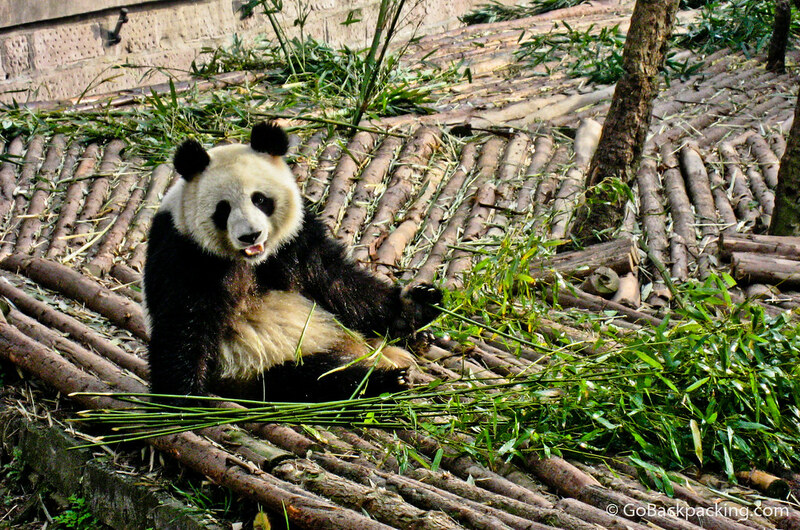 A panda bear takes a break from eating to pose for the cameras. 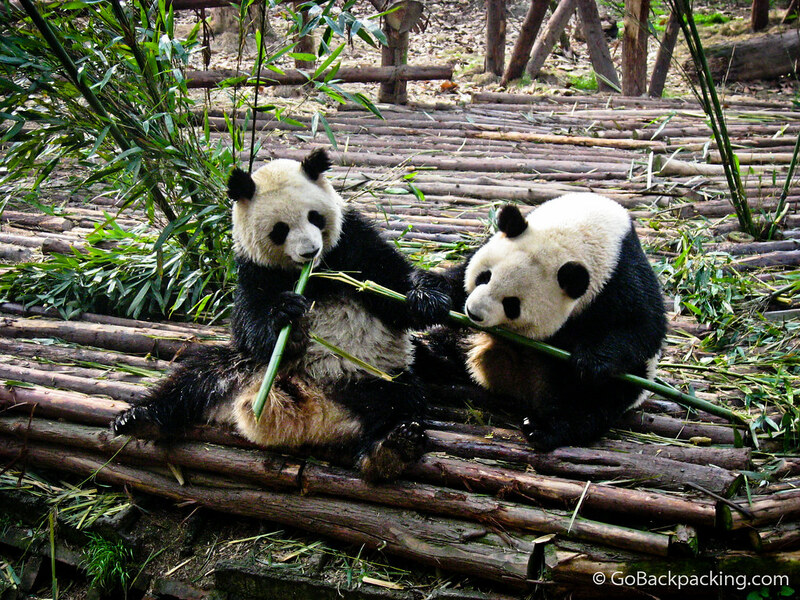 The panda bear on the left was totally hogging this piece of bamboo...pulling it away from his friend to the right. 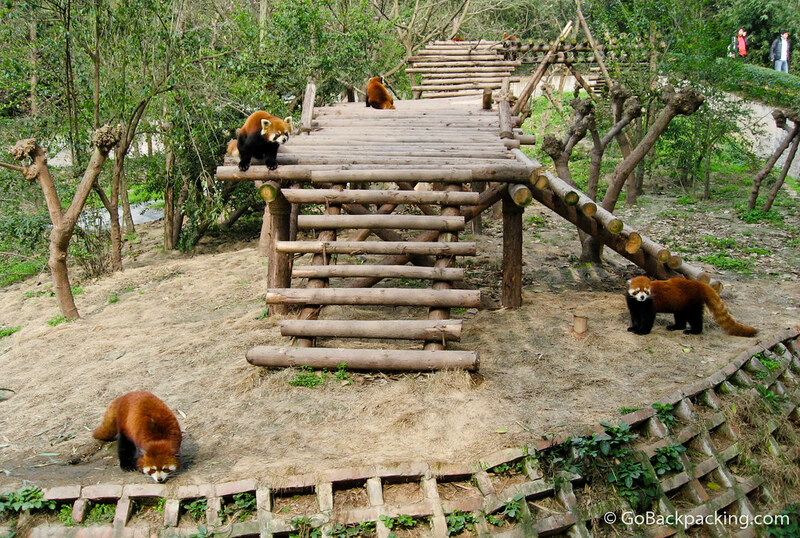 Feeding time at the Chengdu Panda Breading and Research Center in Chengdu, China. 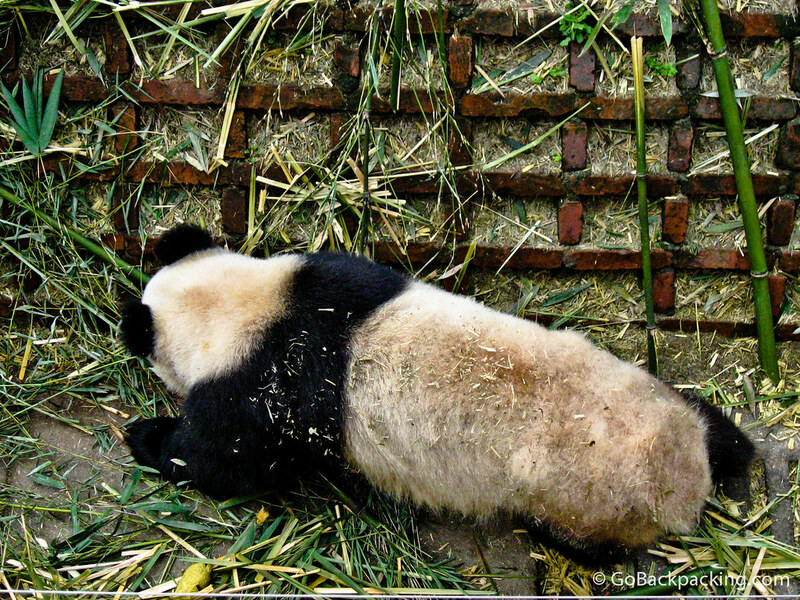 This panda bear is taking a break from devouring bamboo to digest. I'm sure it wasn't long before he started gnawing on another piece. 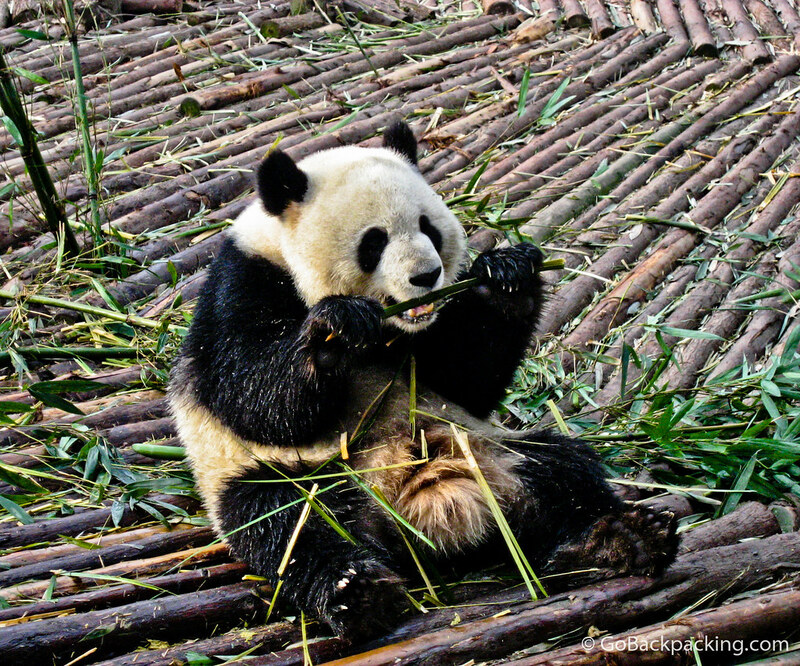 To see the pandas in action, it's best to visit the research base in the morning during feeding time. 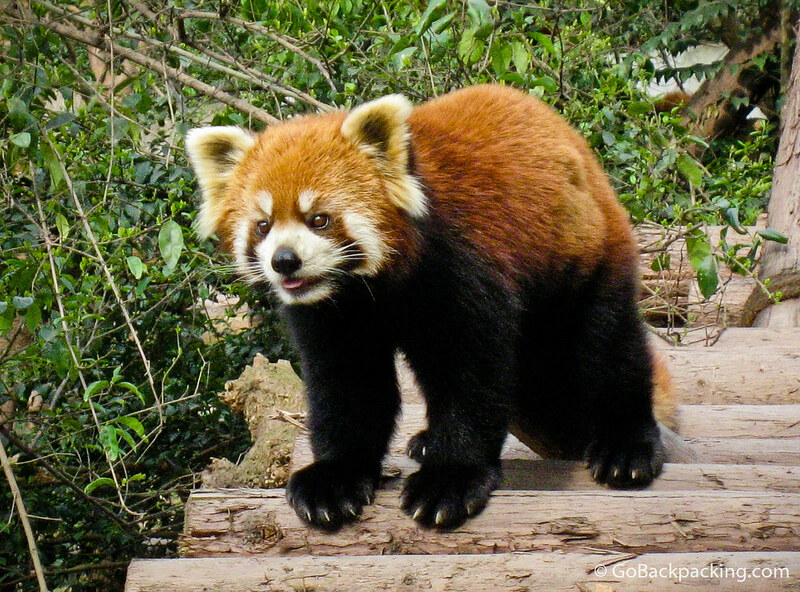 Red pandas are native to Nepal, Bhutan, and northeastern India. For about $25, I was able to hold a red panda like this one for a minute or two. I can still remember how it felt to feel his little heart beating rapidly. 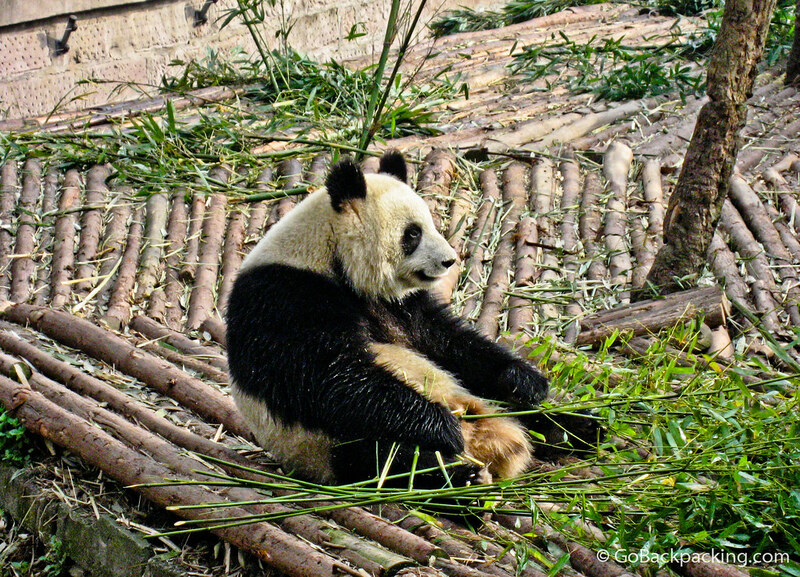 The panda cubs were more playful than their adult counterparts, however they still enjoyed lounging around too. 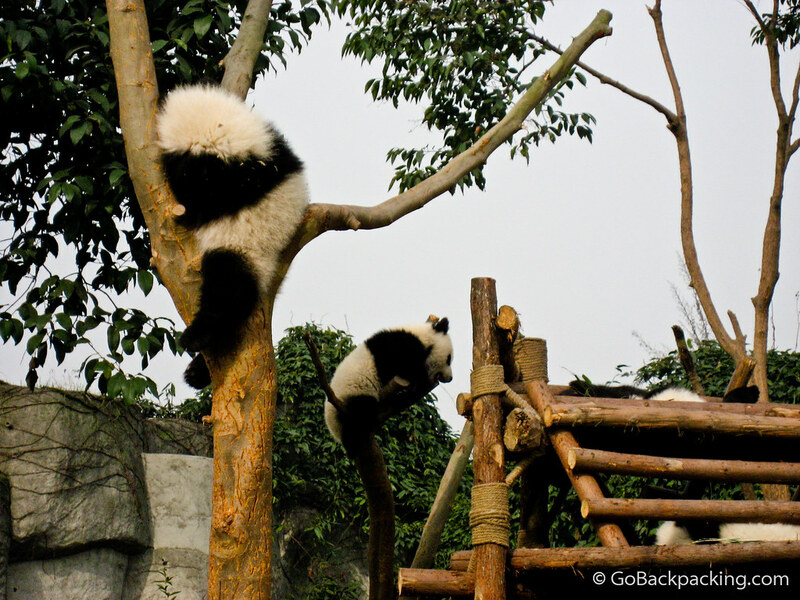 Bird's eye view of a giant panda. Crunch! 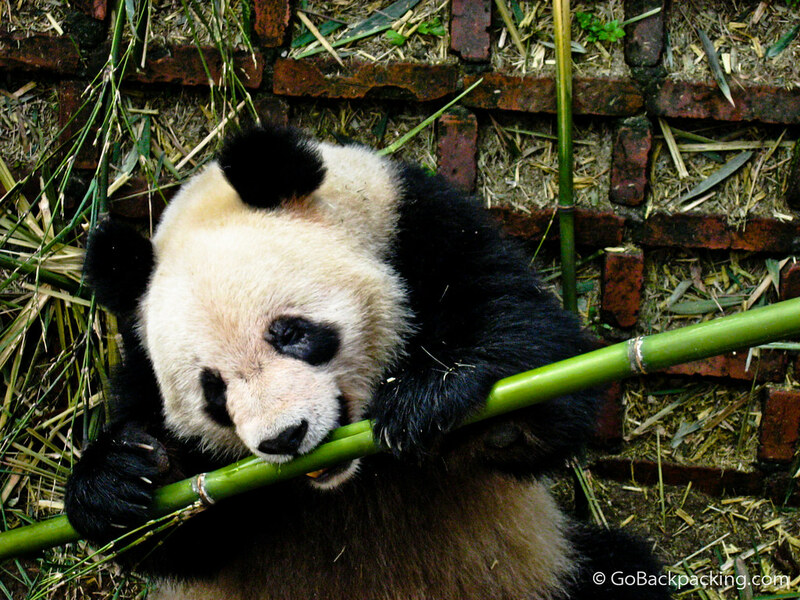 A giant panda bear cracks a piece of bamboo with his strong jaws. Cool, able to hold the red panda! How big is it? It looks pretty big, but I can’t fully tell from the perspective of the shot. Incredible pictures! The red pandas are small — about the size of a fox, so they fit on my lap easily. I love the red panada’s, they look so sweet. Awww Great pics Dave these little guys are so cute. They always look like they are smiling too!